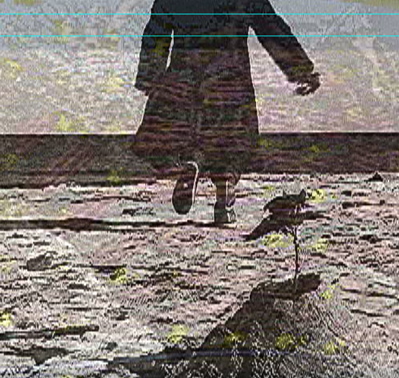 Memoir, experimental, documentary film and video made by women around the world. Featuring works by Oriana Fox, Victoria Kereszi, Lani Sciandra, Sally Grizzel Larson, Anne Haydock, Lili White. Oriana Fox's new fitness video is not only a sweatily satisfying workout for the body, but it is a sumptuous feast for the eyes. With a head of chestnut curls, Fox, resplendent in scarlet lycra, takes a merry band of followers through their paces in a state-of-the-art studio with a kitcsh retro look. So up beat are the tunes, so dazzling the smiles in this video, that a better body at the end of it seems almost irrelevant. The five exercising goddesses are really one of a kind and there is only one true star of the show. 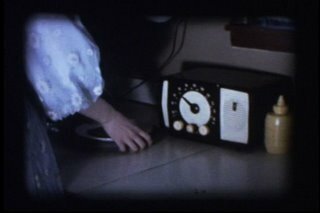 Found/amateur 8mm film reels of amateur/found women boxers performing in a motel. Soundtrack by the winner of the 2006 Pocono Idol contest in the Pocono Mountains of Pennsylvania. 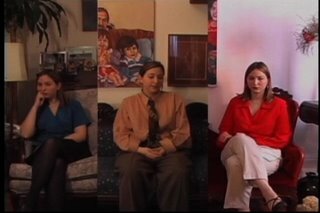 Victoria L. Kereszi, is a graduate of New York University’s Gallatin School of Individualized Study with a Master’s degree in Documentary and Women’s Memoir Film. She is currently the Director of Programming at Manhattan Neighborhood Network, New York City’s community access center. She has also taught video production at public schools around New York City using media to address teen issues of sexual health and anti-tobacco campaigns. She has also traveled to Costa Rica and Cuba to work with youth and co-directed, Cuba Beside Us, a video documenting the experiences of Cuban and American youth during the summer of 2002. She currently lives in Brooklyn where she curates Eye Am and makes short video documentaries and collaged animations. I wood. Therefore I am. Please pick up your socks. A woman fantasizes about her life through the familiar refrains of desire and possibility, giving in to melodrama, but adamantly refusing an unhappy ending. She reminds us of the fact that when we dream- and in real life- we get to star and direct. Sally Grizzell Larson is a visual artist based in Philadelphia. She has traveled extensively all over the world including Brazil, Argentina, Uruguay, Egypt, China, Hong Kong, Europe, England, Tanzania, Zambia and Zimbabwe, as she has had long term stays in Kenya and Ireland from 1987-1988. Her videos have been screened all over the World from New York City and Berkeley to Tokyo. Larson's photographic work has been exhibited at the Brooklyn Museum of Art; Yale University Art Gallery in the US, and at Galleries in Malaga, Spain and Cachan, France. Her work has also been written about in various publications. A game of dress-up: windows and wallpaper, hawks and moths, olive loaf and tinfoil. The sounds and gestures of the everyday gather to become the pre-articulated vocabulary of desire, anxiety, and basic human needs. 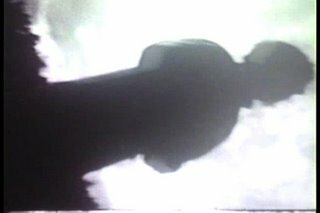 The piece uses rephotography to incorporate elements from a site-specific installation with additional super-8 footage, combining direct animation, timelapse photography, and choreography for the projector with found and foleyed non-sync sound to create a sometimes lyric but often jarring meditation on what it can mean to eat and be eaten. Anne Haydock is a M.F.A. candidate in Film & Video Production at the University of Iowa, and has screened at festivals and curated events in the U.S., Canada, Europe, and the U.K. She is interested in housecoats, hybrids, transgendered images of femininity, steganography, and dead and dying mediums. A recent transplant from Philadelphia, she now lives in Iowa City with her large cat, Chairman Meow. This piece was made without a script or an editing plan. Reflecting what New York stands for: America’s cradle of immigration; the site of the 9/11 Disaster; the platform of a genuine international city it asks “What does it mean to be an artist-immigrant now when the whole world is on the verge of major change?” Three immigrant artists intersect with their own artwork; New York’s cityscapes and White’s performative actions referring to the shared energy fields between them all. Part home-movie, part city-symphony, NY(see) straddles the borders of an autobiographical document and documentary movie-making, imparting the archetype of “the artist”. She is currently in pre-production for her next feature length movie, based on “greed’. 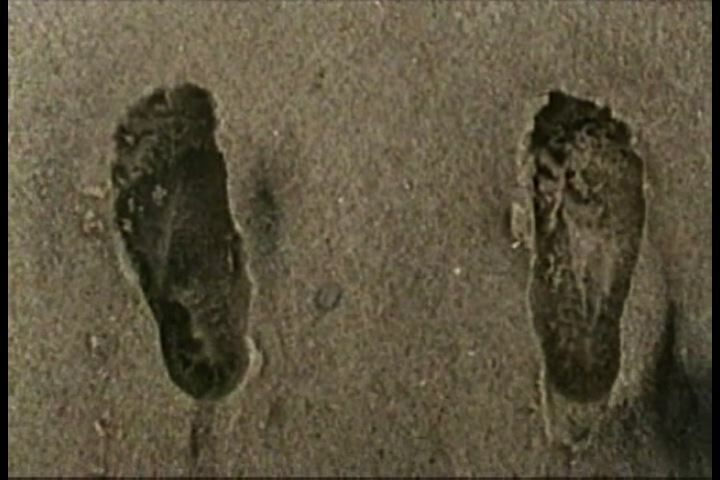 Memoir, experimental, documentary film and video made by women around the world. Featuring works by Ellen Lake, Dina Williams, Oriana Fox, Sarah Klein, Jennifer Beth Guerin, Lora Alaniz, Caroline Koebel, Cara Marisa Deleon, Lili White, & Elizabeth Henry. Confessions of a hoarder. Ann collects vases the way Imleda Marcus collects shoes. This short documentary explores the compulsion to collect, keep, and hold onto things that others may have long discarded. 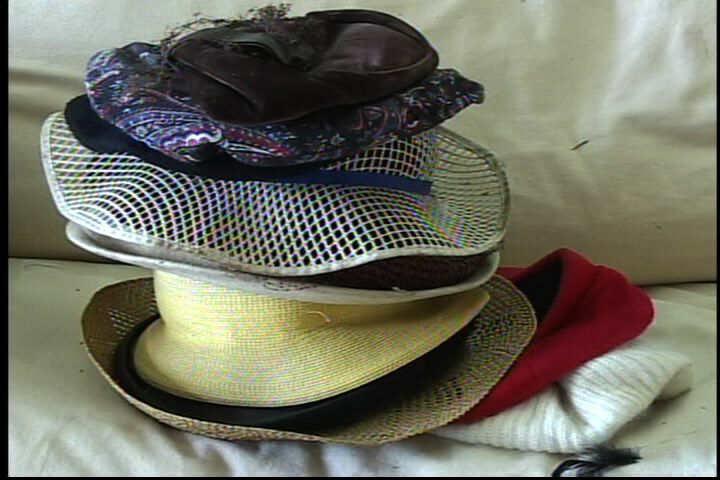 In Ann's case, she collects vases, covered glass dishes, hats, wigs, clothes, and loads of junk jewelry from eBay. She stashes these purchases in her garage, attic, under beds, and in closets. Ellen Lake received her MFA in Mills College in Oakland, California in 2002, where she studied sculpture, film and video, and installation. She is currently working on a series of experimental documentaries about collecting. She is the recipient of Bay Area Video Coalition's 2005 Mediamaker Award. 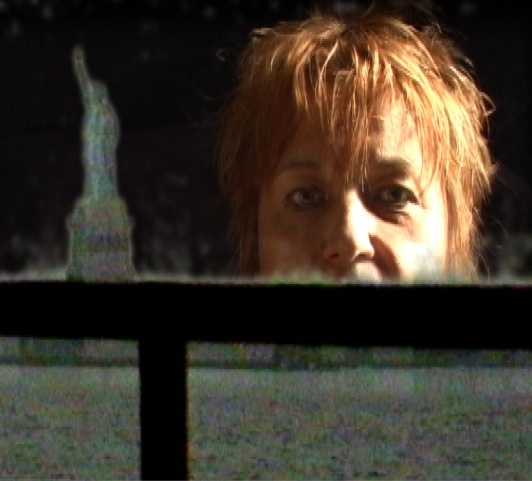 Lakes' work has screened in the Bay Area, Pennsylvania, North Carolina, and New York City. 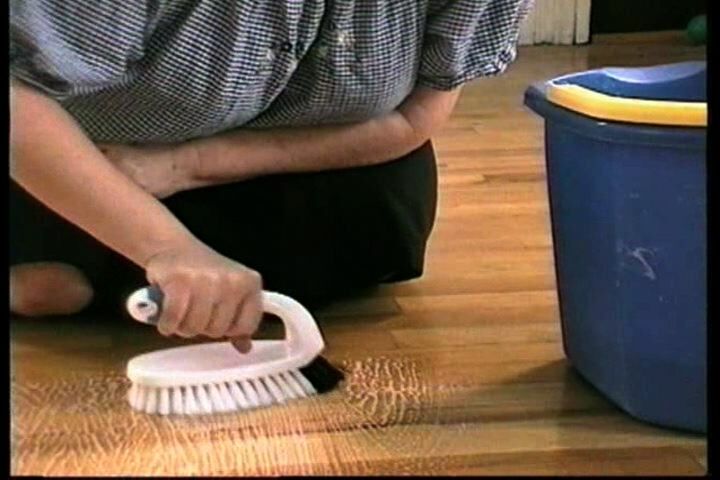 The Domesticated Home holds up a mirror to the gendered practice of domestic labor. Inspired by the proliferation of gender-specific, fetishized, idealized home-improvement and decorating magazines and TV shows, the arts examined the gender roles and spaces of the home: the man as master of the exterior domain; the woman as gentle mistress of the home's interior. Dina Williams is a multimedia artist and educator, working primarily in photography, web and video. She has worked with youth and adults in several schools, arts centers and afterschool programs including the Ark, Inc. and The Arts Center for the Capital Region. Williams is a member of the Hudson-Mohawk Indy Media Center video collective. She has worked in production, post-production and graphic design on projects such as “Voices Against War: F15 NYC” and “Ararat in Troy: A Celebration of Armenian Culture”. Williams is a 2002 recipient of a Master of Fine Arts (MFA) in Electronic Arts from Rensselaer Polytechnic Institute in Troy, NY. The most self-referential work Oriana Fox has made, she interviewed her parents, her mother, father and stepmother, asking them to speak about her, her personality and their relationships to one another. In the video, Fox acts as them, wearing their clothes, mimicking their gestures, and sitting in their respective homes. Most importantly, she lip-syncs their words as they describe her both with candor and humor. Switching roles between the three, Fox attempts to find the truth of the self, ending up in an almost hysterical flipping between them. 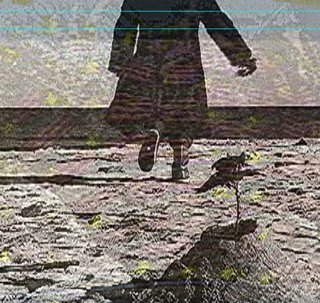 During a trip to meet the past in Fallon Nevada, a grandmother and granddaughter, find their destination is similar but their reality is decidedly different. Sarah Klein is interested in the contrast between the domestic world and the public world. In her videos, drawings, and performances she explores the conducts and codes that define these two realms. Sarah has exhibited her work across the US and around the globe in galleries, museums, on television and in film festivals. Klein received her BA and MFA from Mills College in Oakland, California. 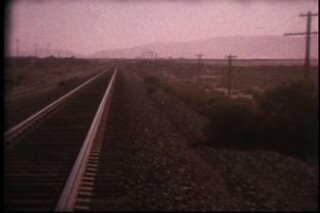 Klein has screened her work all over California, New York City, Spain, and Germany. 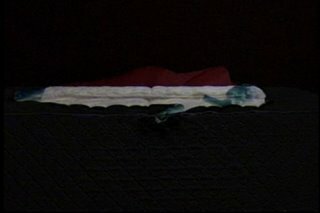 Bed Ballet is a collaborative video exploring notions of the everyday (beds and bodies). Through a lens of enchantment, it evokes a feeling of connection and play, while simultaneously suggesting birth, death, intimacy, loss, and grief. 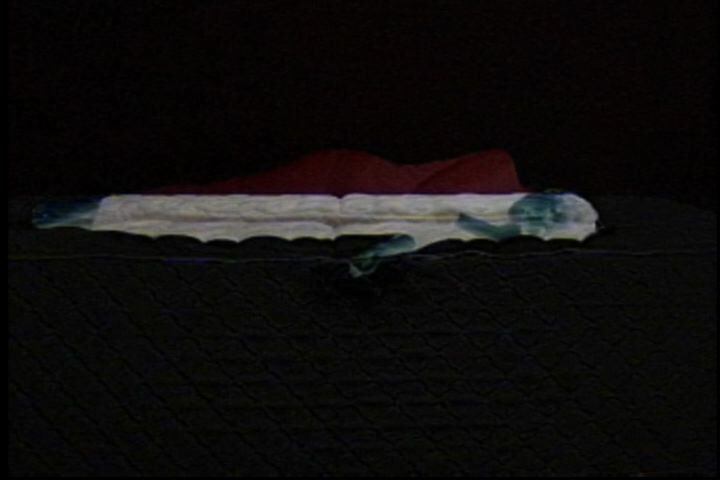 Ultimately, the Bed Ballet offers a stage for women to relate, to be seen, hopefully hinting at ways that other women can create environments in which to celebrate themselves and others. Jennifer Beth Guerin received a Master of Fine Arts in New Genre at the University of Arizona (May 2004). Her emphasis includes video production, installation, and performance. She received her BFA in Studio Art (Dec. 2000) from the University of Texas at Austin. Her teaching experience includes private, public and alternative educational settings, serving students of all ages. She has participated in exhibitions throughout the United States. Internationally, her work has been shown in Albania, Argentina, Canada, China, England, Germany, India, and Slovenia. Resides in Austin, Texas where she is a working artist and is conducting sculptural research by fabricating custom mattresses with her father. 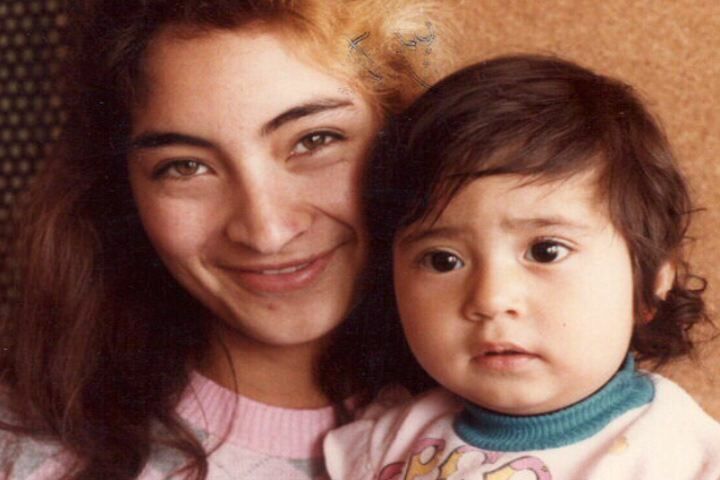 Lora Alaniz, a Mexican-American native of South Texas, received her BFA from the University of Arizona (2000). Her work has been exhibited recently at PlaySpace in San Francisco, Leonard Nimoy Thalia Theater in New York, Prenelle Gallery in London, and Arroyo Arts Collective in Los Angeles. She received a grant from the Tucson/Pima Arts Council for her work in the Arizona Biennial ‘05 at the Tucson Museum of Art, curated by Siri Engberg from the Walker Art Center. In December of 2005 she was invited to be in the group show She Objects, curated by Simon Donovan at the Conrad Wilde Gallery in Tucson. Lora has also been in numerous video screenings and film festivals internationally, is a founding member of the all women Plugged Video Art Collective, and is currently a working artist in Austin, Texas. A short experimental nursery rhyme explores possession and loss. Cara Marisa Deleon received her MA in film studies from the University of Iowa and her MFA in film production from Savannah College of Art and Design. She is an experimental artist who explores the body, women and ideology within time-based media. Her work has been shown throughout North America and Europe. She currently lives in Charlotte, North Carolina and is an Assistant Professor of Film and Video and Johnson C. Smith University. 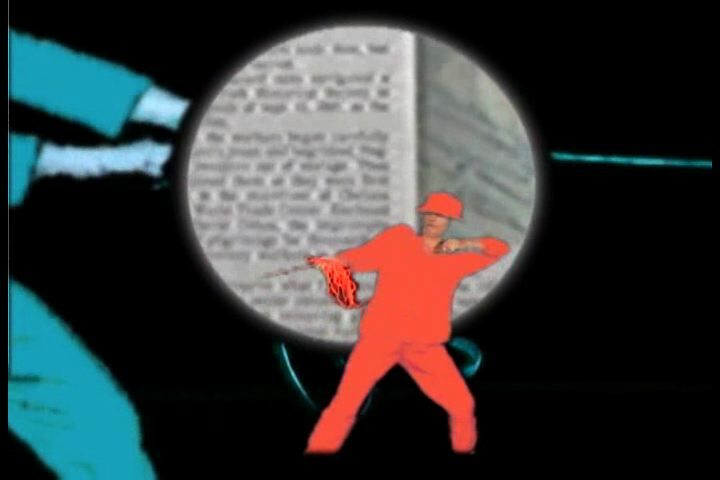 Through an expanded arts and cultural practice infused by experimental film, Caroline Koebel problem solves relations of form and content anew in each project with the intent to create participatory audienceship. 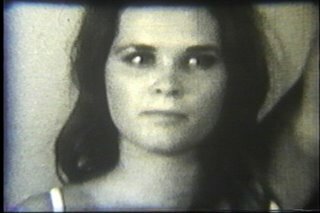 In addition to single-channel cinema, she uses film and digital video as key components of installation and performance. 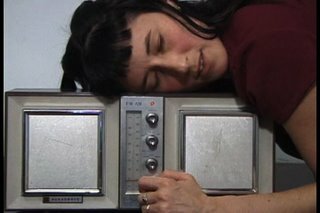 Transmissions of conceptual art, feminist film and literary theory, and punk d.i.y. ethos guide Koebel in work that embraces pleasure and desire as tactics to corrupt commodity culture, authoritarianism, and the endangerment of subjective experience. For a handful of years, the global movement for progressive social change has inspired her to place greater focus on questions of political agency, while continuing to examine how individual artworks are themselves agents of power. 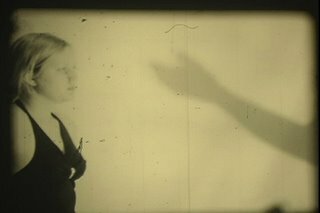 Drawing breath from pioneers such as Germaine Dulac and Maya Deren, Koebel situates writing and curating firmly within her creative practice. She holds a BA in Film Studies from UC Berkeley and an MFA in Visual Arts from UCSD, and teaches in the Department of Media Study at the University at Buffalo. a) the distance of a ship due east or west from the meridian of its starting point. b) a ship’s position in latitude and longitude at the start of a voyage from which the dead reckoning is begun. Ecology of Film meets ecology of mind meets ecology of earth. Or vice-versa. Elizabeth Henry has been working in film for the past ten years as a filmmaker, cinematographer, writer and editor. She is a film professor at the University of Denver and is currently on leave to teach film at Eastern Oregon University. Elizabeth's previous films have appeared in over forty different film festivals around the country. 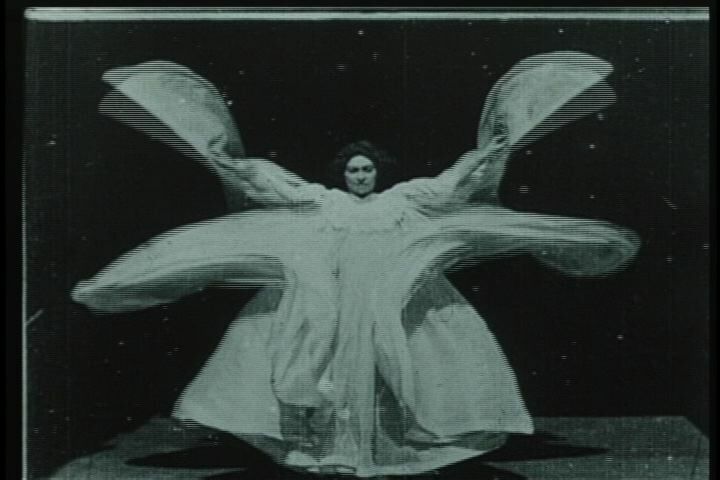 Memoir, experimental, documentary film and video made by women around the world. 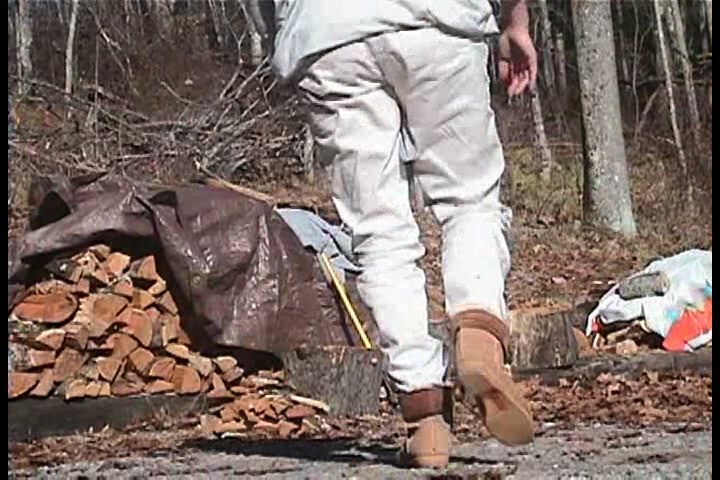 Featuring works by Naomi White, Lani Sciandra, Lili White, Caroline Koebel, & NMASS Video Project. through which they come to understand themselves and their world. Naomi White is a photographer and video editor. She has worked for such companies as Dadamobile, A&E, Discovery Channel, Lifetime, ABC, as well as directing and editing music videos and documentaries. Recently she co-edited a feature film called "Mo" for director Brian Lederman. White's career began as a photographer and videographer, probing narrative ideas through autobiographical vignettes which formed her fascination with the storytelling process. Her recent photographic series "The Ironclad Lover" was featured in a group show at the Redhead gallery at the Lower Manhattan Cultural Council. She lives with her husband in Brooklyn. Hoover Dam, located outside Las Vegas Nevada, was developed to supply hydroelectricity for Arizona, Nevada and California, including the city of Los Angeles, and its surrounding areas. Dam projects in the American West disrupted the communal life of Native Americans and other peoples by forcing dislocation upon families who knew no other way of life. Destruction of their land and submersion of ancient rock art carvings of religious and archeological interest are also by-products of these ventures. The character in TREASURE builds a new city while searching for water by the seaside. Eerie sound and composite images of Hoover Dam, Las Vegas Nevada, and defunct water springs with Indian petroglyphs present an ominous mood. Flower chain made by children at Ljubljana’s National Gallery — Slovenia is the only nation where “Culture Day” is a national holiday. 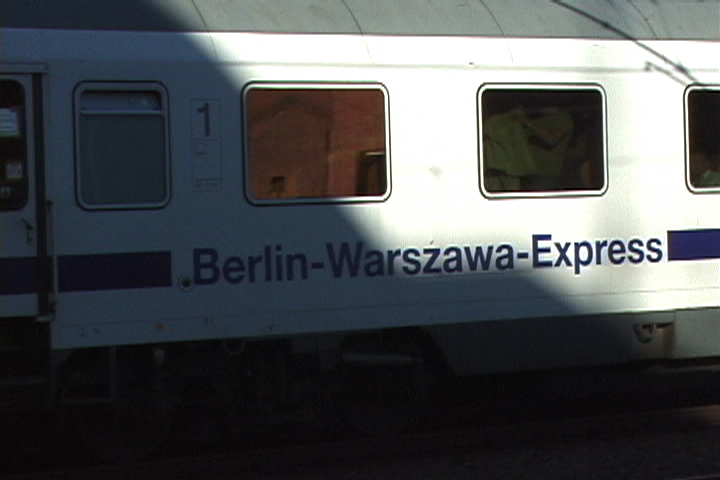 In Berlin Warszawa Express a disappearance becomes a departure, but rather than attempting to reconstitute what is lost, the filmmaker follows the clues and signs framing the site and scene with an anticipatory gaze. She performs the kino eye, meeting the same train day after day, yet here the eye is aligned with not just any body, but with the distinctly maternal body. Her pregnant self a decoy, the filmmaker takes in the world around her, and makes contemporary the tradition of the city film. Tracking shots, the Lumière brothers, animation, structural film, light and reflection, protofilmic toys such as the zoetrope, sprocket holes—cinema itself is a main line for Berlin Warszawa Express. 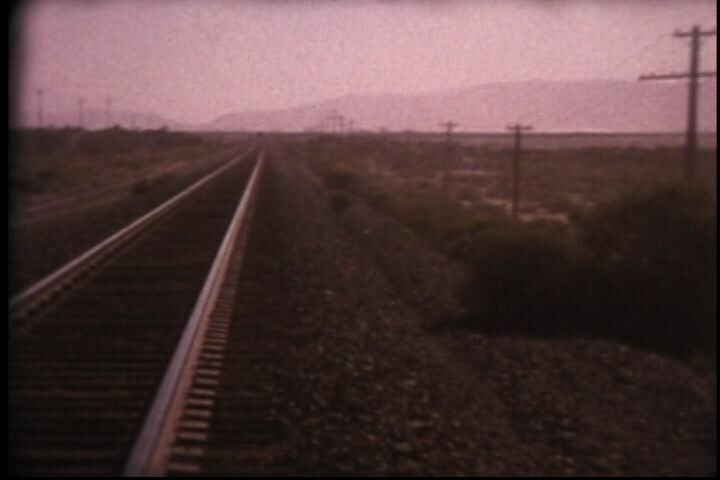 The live-ness and intersections of all the film’s rails depend on who’s traveling. years of working in a garment factory in Brooklyn. This is the work of the NMASS Video Project. The National Mobilization Against Sweatshops is a workers membership organization with centers in Brooklyn and the Lower East Side. NMASS brings working people from many different communities together to fight for control of our work, our health, our time and our lives.